Ashik Iqbal has been in marketing and brand communication for more than 12 years. He also worked as a public relations officer in various companies. He also worked for several years as a senior manager of marketing communication’s BTL operations in Banglalink. During a recent conversation with Fintech, Ashik Iqbal shared his experience in marketing and branding excerpts. Fintech: As a marketing professional, can you tell us the main principle of bringing customers to the brand? There is a saying: bigger the spending, better the brand building. What is your opinion on this? You have to analyze what the customer needs, what the customer wants according to the brand personality or concept. It means that we can bring any product but if the product does not fulfill the customer’s need or cannot deliver what the customer wants then ultimately that product will not be accepted by the customer. The brand fulfills a demand, therefore you have to identify that demand and align it with your brand which will allow you to take your brand closer to the customer. There are many connecting lines to take the brand closer to the customer. One of them is emotional connection. You have to see if there is any emotional connection when a customer buys a product or how much of an impact the product has in his/her everyday life because whatever we use, it is bound to have an effect in our daily life. Then there is customer loyalty. You have to bring loyalty based on how long the customer will use that product. It is not enough to take an offer to a customer; you have a long-term relation with the customer. By understanding what the customer needs over a long period of time, the brand can be taken closer to the customer. Now I’d like to come to your axiom: bigger the spending, better the brand building. ‘Bigger the spending’ is not really bigger the spending in the literal sense because it is actually about the medium you use. It depends on the medium you spend your money on. It is because there is a lot of diversification in mediums in recent times. Before people used to watch a single television channel, read one or two newspapers but now there are many. Even there are numerous radio channels. If we take a closer look, we will see the biggest revolution took place in the digital medium with the advent of social media and many online platforms. In other words, online has taken a bigger space. Now I would say it is not about bigger spending because the pattern has already changed. It depends on how calculative you are. It is about communicating with customers in the place where you find them. Therefore it is not about bigger the spending anymore, the main thing is how calculative and innovative you can be in your spending. Fintech: Can people’s consumption behaviour and digitalization affect marketing or what are their effects on marketing? Yes, it will affect marketing because digitalization has infiltrated people’s behavior pattern on a massive scale. You already know that it is far more advanced in the first world countries because they are more progressive in terms of technology. With the advancement of technology in our country, all of us have become ‘techie’ more or less. There is mobile or smart device, internet in everybody’s home apart from 3G, 4G and Wi-Fi. Consequently internet penetration has increased. What happens in digital media is that instant communication becomes possible. And the communication happens both ways. Before when people read the newspaper or watched television, they could not reply but things have changed now. Now when someone makes a post in social media, we can immediately connect with that person. You can reply instantly when the customer wants to know something and posts online. I can share with you this statistics where every 60 second, 3.3 million people are linked with a Facebook post and 29 million people send and receive messages through various apps like WhatsApp. This is the changed system in terms of digitalization. Now if you give just Facebook posts, it won’t be very effective. Before it was static, now it has become dynamic. Besides, people are now more interested in video content for which reason content marketing has emerged. If I want to talk about the effect, then I will say it has greatly affected the decision making process of people’s’ overall consumption. The amount of time people see a brand in traditional media, they see it far more in digital media because they are seeing posts, getting links and all the developing content through videos. All these things can indirectly affect the consumer. Ultimately a consumer buys a product that is useful to him or her. In this case e-commerce is playing an important role. It is because the ability to purchase online was never there before. Now there is this opportunity and people who cannot find time in their hectic life are purchasing goods online, especially women at home who are technologically advanced, they are buying more. Actually, this is the digital disruption. Fintech: Is digital advertising really effective? If there is greater penetration in digital advertising, will the companies stop publishing ads in print media? What do you think? You are aware that the circulation of top global newspapers is really big. For example Indian Times, Hindustan Times or New York Times, they are surviving although countries like United States of America and India are technologically highly advanced. If I talk about Bangladesh then the circulation of newspapers and magazines is increasing day by day. Actually, they have their own appeal. Once upon a time newspapers were called the ‘third eye’ of humans. People are reading news digitally but the appeal or pleasure of reading a newspaper will remain. It will remain because there is matter of credibility. Digital news will move ahead due to technological advancement but print media will not be shut down, maybe the pattern will change. 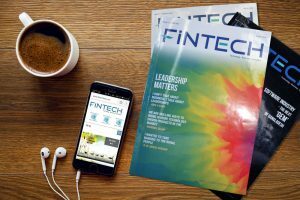 Fintech: What will your advice be to those who want to build up their career in marketing? How can one succeed in this field? Marketing is an interesting thing. For those who want to build their career, it is a really easy and ordinary matter. First of all I want to say that those who have the interest, only they can build their career. You have to be quite dexterous if you want a career in marketing. If someone is really bookish then that person will not succeed. You have to keep your ears and eyes open and have the keenness to know what new things are happening around you. Marketing is about showing people, telling them, namely doing campaigns. If someone has the willpower to motivate people and the ability to work with people through communication then he or she can definitely opt for marketing. But yes, if the person can slightly change the pattern or idea used by others and move forward innovatively then of course he or she can work. There are two sides. The conventional side is one where you can learn and work when you join any organization. The other is the desire to work outside this system. If someone has this aspiration then he or she will definitely do well. Actually for marketing it is important to have some innovative sense. You need the drive to take risks; like let’s do this work and see how it feels like or how much can I take this challenge. People want something, and I will fulfill it through my work – you need to have this desire. And secondly, the young people who want to come into marketing, they should be patient. You need to have patience and give time so your roots become strong. And you must have the interest to know. Mostly young people have this changing mindset for which reason they cannot be patient. If they become stable then I am sure they will do well in this field. Fintech: If someone doesn’t have institutional education or subject-based learning in marketing but is extremely knowledgeable and persuasive, can that person build a career in this line or will the companies give him or her a chance? Actually the companies will definitely give that chance. Companies search for people to work in marketing. Those who are established in the marketing profession, not all of them have background in marketing or studied the subject because it is a lot like instinct. Those who had studied in creative line but came to marketing, they are doing quite good. It depends on the quality of the person. Even I am telling you, when I embarked on my career, I did not start in marketing. I was in a different department but for the last 12-13 years I am engaged in marketing. The notion of securing a job that is related to the subject one studies is yet to develop in our country, so even if you have studied a different subject, if you have the knowledge and determination then definitely you can come into marketing. But you must have the quality. Fintech: How important it is to maintain ethics in marketing and consumer communication? Ethics is really very important because it is the source of consumers’ credibility. I will tell the consumer exactly what I give him. Having this is as important as being honest to yourself. At present, consumers have many options. If someone does something unethical in terms of promotion for the product and consequently if the consumer suffers for that reason then the consumer will lose all trust in the brand. And the consumer will never go back to that brand because he has many options. You must be transparent as a marketeer. You need to be ethical, honest and honest to your commitment to be a marketing person or businessman. Fintech: Did you learn something valuable while managing MNC especially in telecom and consumer electronics? Can you share your learning with us? The first thing is consumer behavior and need. Secondly, how fast you can deliver it. Since I spent a long time in telecom, I can tell you from my experience that every company has a term called ‘value for money’. How much value are they adding to the product that is being used and what the overall value of the product is? Need analysis is important as well as proper delivery after analyzing that need. Swift delivery is also necessary. Another thing is bringing something new to the market because the changeover is happening very quickly. Bringing something new by capturing the changeover is extremely significant and we call it the trend-setter or first mover’s advantage. There is so much competition in these industries and the one who can exploit the first mover’s advantage becomes the gainer. I am delivering and becoming the first mover – to achieve that the vision is critical. Besides, product quality, availability and affordability are also very important. It is about letting people know what your product contains, where it is available and how near the product is available for the customer. A product might be really expensive but it is possible to make it affordable to the customer through various offers. The company that can ensure affordability, that company will do well. If I tell you what I have learnt, then I will tell you that these things were there in my mind and I learned how to create value with these things.